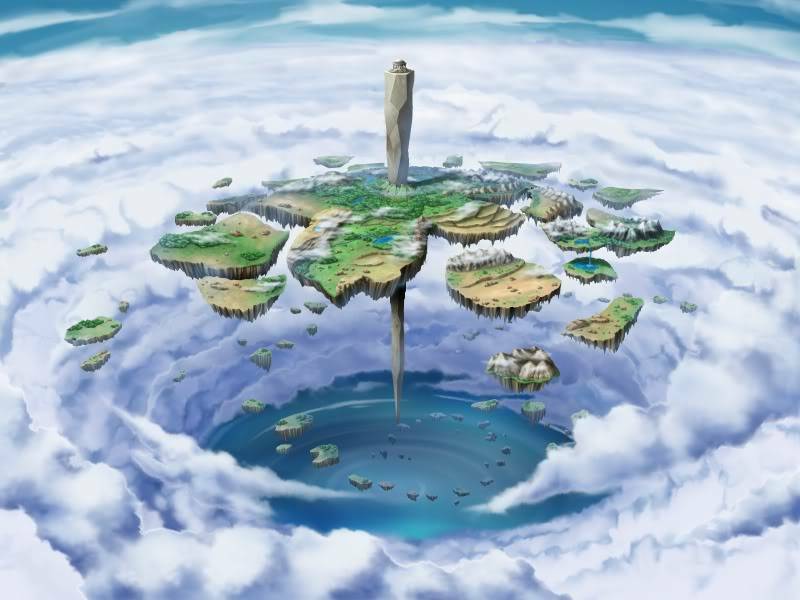 Wyvera is a artificial man made land, during the Napistism rein the islands were composed of being imbedded with Cryllium to keep the land masses to stay afloat. Over 10000 years ago the land flourished with all kinds of weapons and one hundred islands but over the greedy constant wars civilization had dwindled, the islands collapsed leaving only 20 islands left then slowly started to die out like a prehistoric dinosaur. The Upper shrine is where the High Hierarchy used to settle, the most sacred area that has holy water upon a small lake and a temple that settles on the very top needle like rock formation. Only select members can enter this higher lands. The long rock that perices through the center island controlling all the islands to float around it. Besides being just a giant spear rock, it also has something hidden within it from ancient times. Used to keep the holy Dragon's inside their homes in caves..the rock formation also holds a deadly weapon.